There are a wide variety of activities on offer in this area for those who want to do something a bit more active during their stay. The Loire-Anjou-Touraine Regional Park is one of the biggest regional parks in France and a great place to explore on foot or by bike. This is a haven for all kinds of wildlife, with at least 200 species of bird recorded in the Park, including rare ones not usually seen in England. The Park is also home to some local species of dragonflies and has lots of different types of butterfly. This area serves to preserve the area&apos;s wildlife and heritage by the creation of cycle and walking routes. It has developed a series of themed circular walks known as ‘Sentiers d’Interprétation’ with information boards which are easy to follow. These include ‘the Life of a Vineyard’, ‘the willow tree and basket making’, ‘the influence of river flooding’, ‘Tufa Rocks’ and ‘Coppicing’. Rambling: You can enjoy the countryside by following one of a number of local trails marked out in and beyond Le Puy Notre Dame. Le Puy-Notre-Dame, has 4 marked trails (4 to 40 km) through the vineyards in the surrounding hamlets and lanes. Within the Parc Naturel Régional Anjou-Touraine, the Winegrowers Association has created a circuit Interpretation Wine, 3.7 km walking trail lined with eight interactive panels and explanatory (French-English) work the vineyard throughout the year. Birdwatching: The League for the Protection of Birds (LPO) offers bird-watching walks throughout the year. bird-watching walks that are organised from time to time and the various rivers nearby are a haven for wildlife. For example , the Basses Vallées Angevines, is a great place to watch thousands of migrating birds including the corncrake, snipe, lapwing and golden plover. Cycling: The gentle, rolling landscape surrounded by vineyards is also perfect for cyclists and the Loire Valley has been awarded many tourism awards for its approach to cycling. There are a number of dedicated cycle trails to help you explore this area as well as “green ways”, which are ideal for families. (Greenways are roads reserved exclusively for non-motorised vehicle traffic, pedestrians and horse-riders). “Loire à Vélo” has been designed with the cyclist in mind, made up of quiet roads with little traffic, green ways, cycle tracks and lanes with regular stopping places. 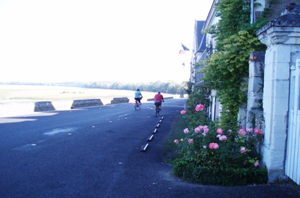 Two-thirds of the itinerary runs along the Loire and it forms one of the finest cycle routes in France. Horse riding: If you enjoy horse riding or pony trekking through the countryside there are are a number of horse riding trails through the vineyards, forests and the Regional Natural Park Loire-Anjou-Touraine. There are also several Equestrian Centres nearby. Golf:For those who enjoy playing golf there are a number of courses about an hour’s drive or less away. These include those at Saumur, Loudon, Brissac-Quincé, Cholet, Angers, Tours, La Fleche and Bauge. The nearest is at Saumur with 9 holes and the public golf course at Loudun, is one of the longest and best-equipped in France. For those who take it less seriously, there is Mini golf nearby at Saint-Martin de Sanzay. There are a number of lovely rivers and lakes nearby where you can enjoy water sports and fishing. 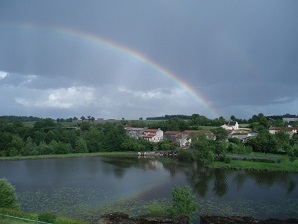 The Layon River meanders through Les Verchers sur Layon the town and there are also two small lakes where fishing and leisure activities are available. The River Thouet, runs through the town of Montreuil-Bellay and is popular for fishing as well as canoeing. 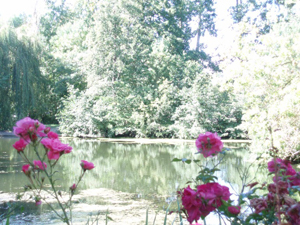 At St Martin de Sanzay, La Ballastiere is a lake of 10 hectares which was a former quarry. Argenton-Chateau has Lake Hautibus which is a great venue for swimming, fishing and all kinds of nautical sports such as pedaloes, sailing and canoeing. 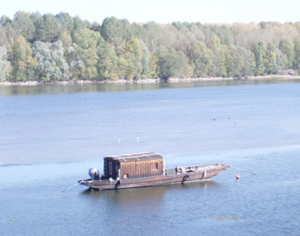 Boating: There are three types of traditional Loire boats: the lighter flat bottomed boats - called gabardes or gabarres, the toue cabanée and futreaux. Go back in time on the River Loire by hiring a traditional flat-bottomed boat, learn about its history and view the châteaux. You can hire one of these boats from the pretty towns of Monsoreau or Candes-Saint-Martin. Fishing: Pescalis is the first international nature & fishing centre in Europe, situated at Moncoutant, just over an hour’s drve away. 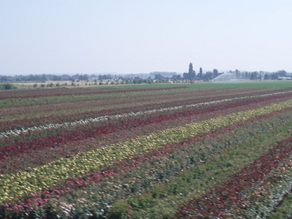 It is on a complex of more than 150 hectares with other activities. It is great for the expert or novice angler, with 100 hectares of lakes appreciated for their diversity. Swimming Pools: There is a large Aquatic Centre in Doue la Fontaine for swimmers and diving enthusiasts, with a spa, water slide and other water games. There is also superb indoor pool at Saumur, and open-air pools at Montreuil-Bellay and Argenton-Chateau.